Home Parenting Do You Have a Family Password? Do You Have a Family Password? A Family Password (Codeword) is a great security measure you can take to protect both you and your children. It’s a word no one but you know, and anyone whom you share it with that you trust. In cases like the one above, if the familiar face knew the password, the child could feel safe in going with them, because it’s a word that has been shared only with the most trusted of people. It is a word to be used when someone is returning home, without their keys, and needs to be let in, and we need to know that they are okay. It is the word you use to alert your family that there is an emergency close by that they need to pay attention for (perhaps you’ve had a break in and you want your children to understand to stay absolutely quiet). We have a friend who is in the kind of business where they have to have a password set up for everyday use. When any family member walks in the door, they say the password. If ever a time came when one of them did NOT say the password as they were coming in, they can expect to be met by any number of firearms pointing in their direction in case they have been compromised in some fashion. Is that extreme? For our family, yes, but for their family, absolutely not. We have a single code word for the children that they are required to get from anyone who says they are here because Mom or Dad sent them. There is a difference here in that and someone there rescuing them from an emergency situation. Our kids know the difference. Here’s why. When my oldest son was just entering the age where we were trying to allow him more freedoms, he asked to go off to wander around a familiar area without us in tow. So, we drilled him. If someone comes up to you and says, “‘Your mom and dad were hurt, I’m here to take you to them’. What would you do?” Our son pipes up, quite full of determination and assurance in his answer, “I’d go with them!” I know, in his head, he was in a familiar area and no one there would harm him. But to us, he hadn’t quite understood the idea that it didn’t have to be a stranger. That is the point in which we felt a family code word was in order. We share it with those family and friends whom we trust and are around our boys often enough that we know they would be the ones rescuing our kids if something drastic were to happen to both my husband and I. Our code words are also a way for us to pass along instructions. We know that if we are separated, for whatever reason, and any of us call with the codeword, we have a plan already set up to get back home as soon as possible, by any means available. Whether it’s a weather emergency or a national emergency, this is our way of being able to pass on that urgency, even if we only have 2 seconds for a text on an active phone line. If we hear or see the code word, we know it means get home now. We also have another word. It is extreme, and it means do not come home, go to safety. Do we expect to ever have criminals come to our house and hold us hostage? No. But we DO try to have some plan in place that if there is a reason why the rest of us should not come home, we have a way to communicate that information in the shortest way possible. We would have to have access to a cellphone, sure. But better a plan set in place and never used than one never set all all and needed. Practice the word in situations that are safe so that your children aren’t startled by the use of it. Practice fairly often so that they don’t forget. As I was writing this, I turned to one of my children and asked what the safe word was and there was quite a bit of hesitation before it was recalled, which means we aren’t practicing enough, or the word is too common. 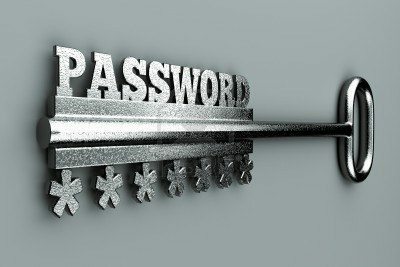 Your Family Password can be a phrase or a word – whatever works best for you. It needs to be kept secret between you and your family and never given out lightly to anyone.